You can't go wrong with recurring decorating advice that pops up again and again — the little nuggets of wisdom whispered in our ears by mentors or mothers — and make sense every damn time. 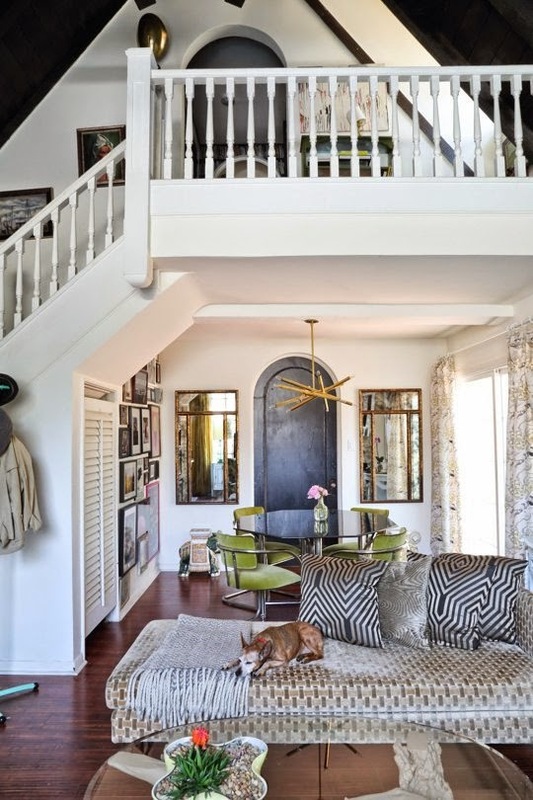 Keep these go-to tips in the forefront of your minds when approaching a space. 1. Incorporate High and Low: Mix quality pieces with less expensive finds. 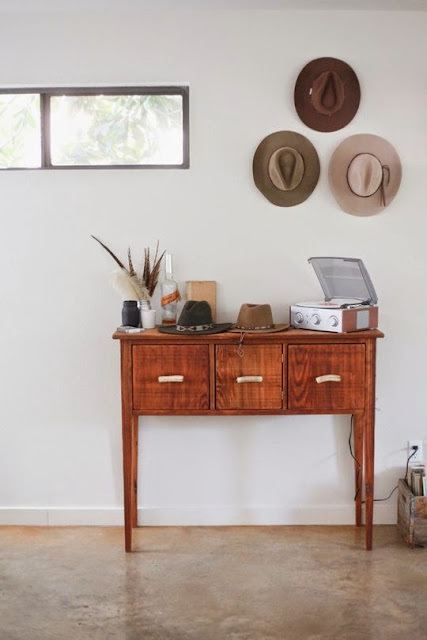 When it comes to gathering decor or collecting items, not every piece has to be precious. It’s much more important to find things you truly love, or to have affordable placeholders that help you stay on budget until you find the perfect thing later on down the road. In the image above from Style Me Pretty, an IKEA rug is right at home with other older, antique pieces. 2. 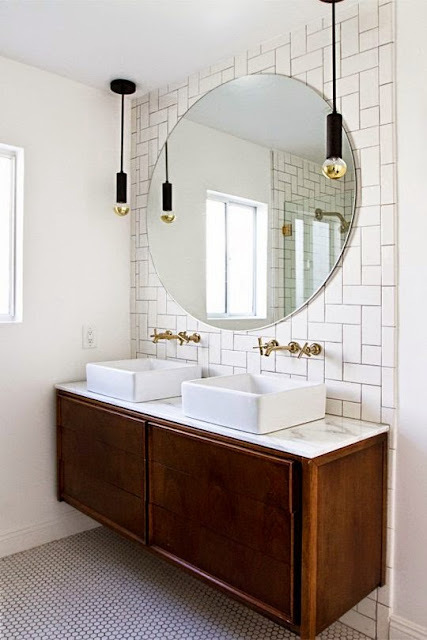 Customize Something Basic: Find ways to elevate basic materials into something new, fresh, and personal to your space. Install subway tiles in a new pattern, spray-paint your frames, or reupholster a boring chair. Above, Sarah Sherman Samuel alternated the direction of her white subway tiles, resulting in a modern herringbone pattern that looks anything but old. It’s classic with a twist. 3. Bring the Outdoors In: Organic objects — plants, wreaths, branches, horns — add warmth and interest, without overpowering the rest of the decor. As accessories, they add a sculptural element, and give life to a room. They also have the added bonus of making you feel like you're outside, even when you are trapped inside the house. 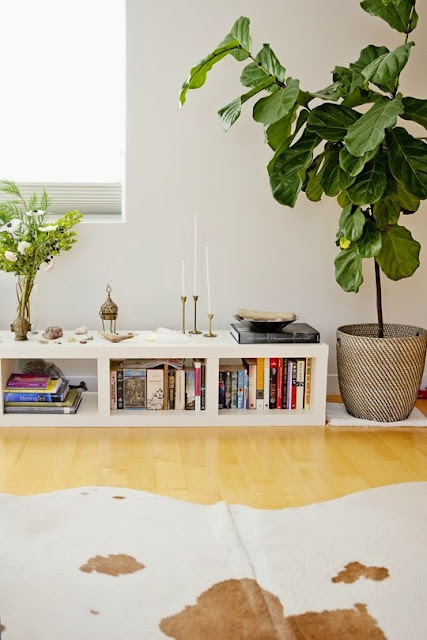 Above, a fiddle leaf fig and vase of flowers grace the home of Natalie and Seth. 4. 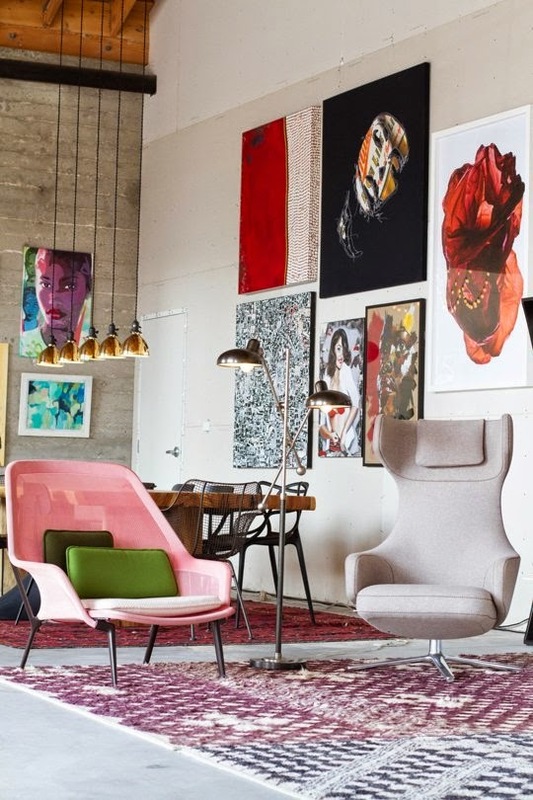 Use Multiples & The Power of Three: Can't find or afford one really big piece to make a grand statement in your room? Using multiples is a way to make a big design impact with lots of smaller, inexpensive items. If it's three of one thing, or another odd number, your brain automatically finds the grouping more interesting and appealing. The three hats hung above in Georgia's Austin home automatically become a collection. 5. Mix All The Things: Approach your room like it's a playground of texture, patterns, finish, and furniture styles — all there for you to mess around with and make interesting through contrast and variety. 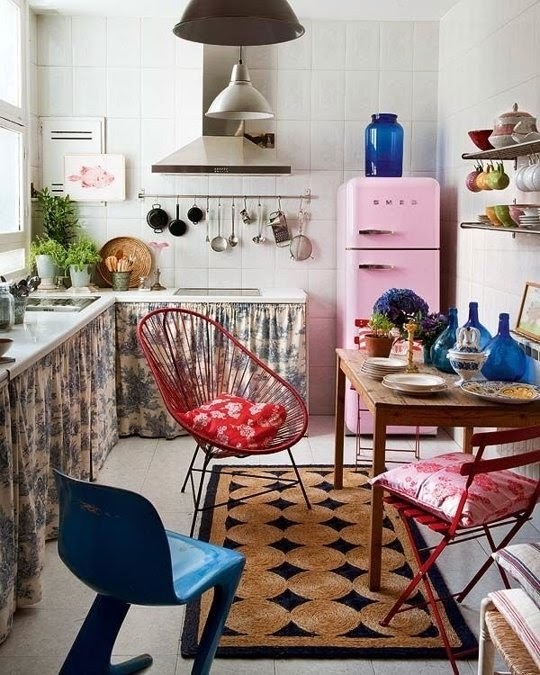 Above, a kitchen from Nuevo Estilo, via Planete Deco that your eye won't soon forget. 6. Introduce Some Black: There something about edgy, dramatic black that grounds the space and makes all other colors look like the best versions of themselves. 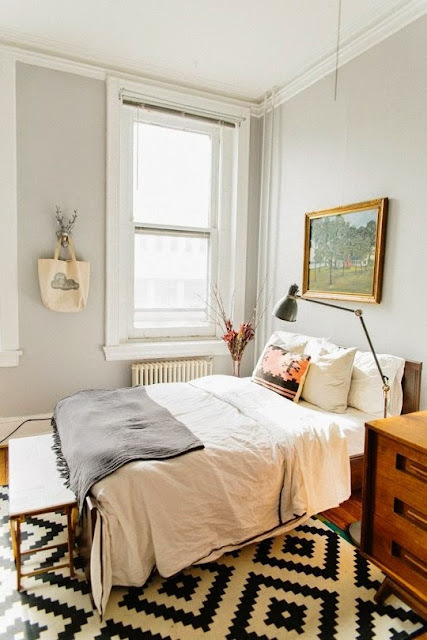 It could be a chair, lampshade, or an art frame, but if your room is lacking a little something that you can't quite identify, try a soupçon of black and see what happens. Above, Aphrochic's show home at Helms Bakery uses some black chairs and artwork to anchor the room.